PayDock would like to congratulate SumoSalad on winning Best Innovation in the Health Category at the prestigious QSR Media Detpak Awards for its My Sumo app! 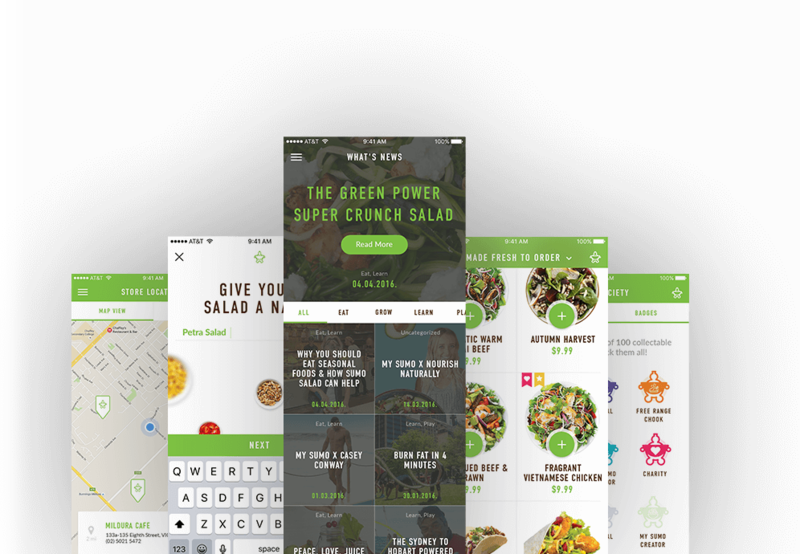 Launched in January 2017, the app allows customers to create and pay for their own salads and wraps before picking them up in-store. Is native on both iOS and Android. Can connect to other APIs and apps such as FitBit to automatically log purchases to the customer’s FitBit diary. Has a centralised menu database that can be updated and rolled out across all franchises on the app in an instant. Has a simplified customer signup solution that can automatically distribute the data to franchises. Works with any number and a diverse range of payment gateways and methods. Triggers transactions and distributes customer data across multiple franchises and any payment gateway upon request. Allows money and payment sources to be directly connected to the franchisees, so that each store has increased control of their pricing schedule without affecting other stores. Having fulfilled most of the aims by partnering with Round Table Apps, SumoSalad needed to find a comprehensive payments solution. This is where PayDock came in. PayDock’s secure payments token vault gave SumoSalad’s the ability to store and pass on customer information within the app to reduce checkout friction. PayDock enabled SumoSalad to integrate and bolt on additional payment gateways and solutions with ease, without further development costs. 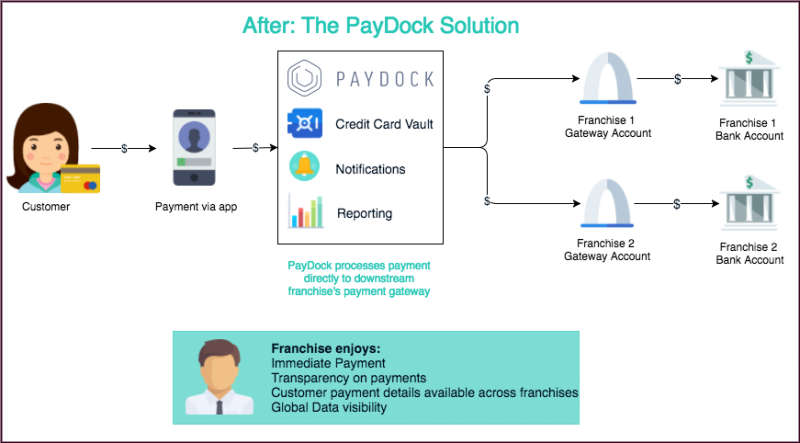 PayDock’s ability to connect headquarter’s payment gateway directly with the franchisee’s downstream gateways allowed payments to go directly into the franchisee’s bank account, removing the need for any HQ intervention. SumoSalad is now able to offer a seamless online app experience, scale effortlessly and bolt on additional gateways for new franchises within seconds (they added 94 gateways in December 2016 with ease). Settlement delay is now reduced to as low as 1-2 days and is automated with their chosen payment gateway. In addition, franchisees enjoy the flexibility to add and change their online payments set up without huge development costs and without disrupting the operations of SumoSalad and other franchisees. The problem that SumoSalad encountered was not unique in any way. Many franchise businesses lose valuable time and administration cost rerouting payments from HQ back to each separate franchise. What PayDock offers is an extensive payments solution that enables businesses to directly connect with their downstream gateways and reduce settlement delays. This increases data visibility, upgraded payments flexibility and a synchronised payments system.